The David Dixon show was packed. 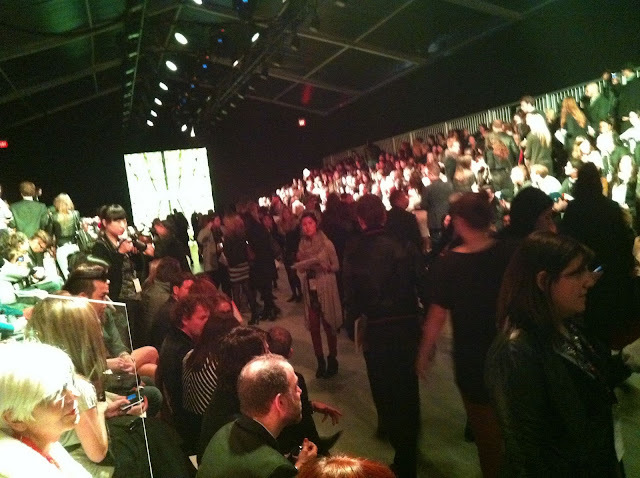 Canadian fashion people flooded the runway room as soon as security opened the doors. 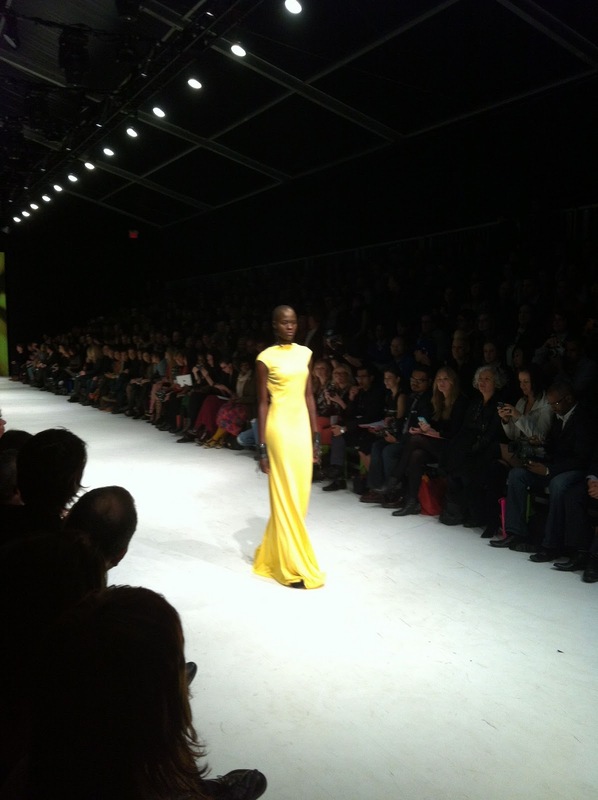 Among them were Fashion Television's Jeanne Beker, and former model and judge on Canada's Next Top Model, Stacey Mckenzie. 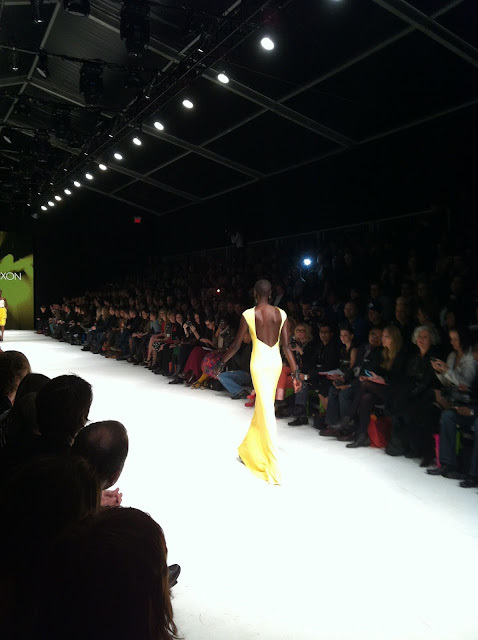 The collection was feminine to say the least. Dixon showed mostly black and white, but threw in a bit of yellow to give his otherwise monochromatic collection a bit of spring colour. There was a big emphasis on female curves, with form fitted satin pencil skirts in both black and white (all below the knee), and several black evening dresses. 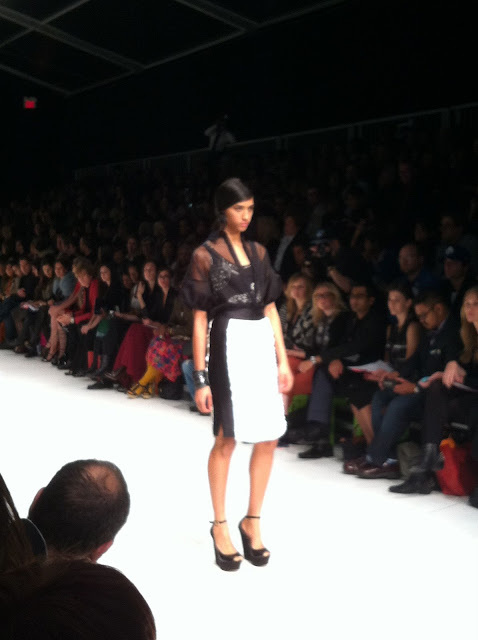 Dixon also showed black lace and mesh button-ups (in black and white). 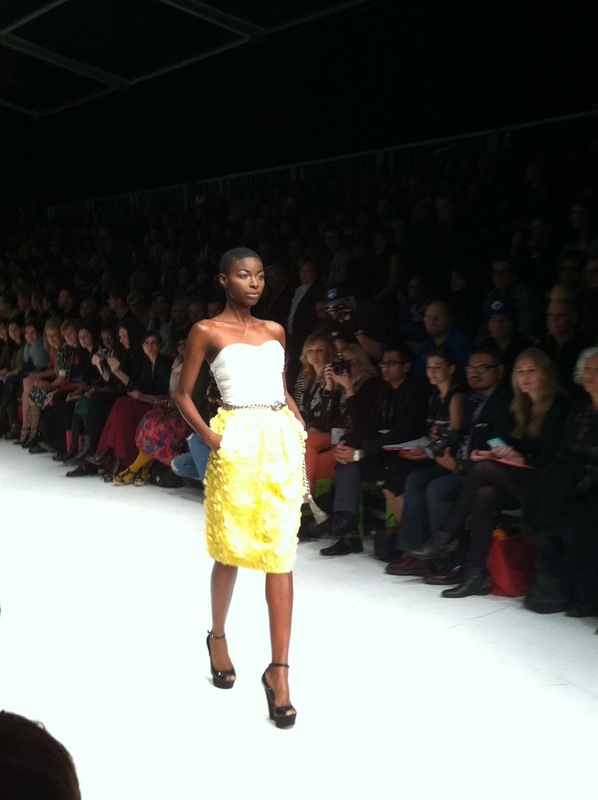 The yellow accents came in the form of a sheath dress with plugging back, and below-the-knee laser-cut skirts. The one piece that really stood out to me was a white pencil skirt with black panels. It's a new take on the always popular pencil shirt.